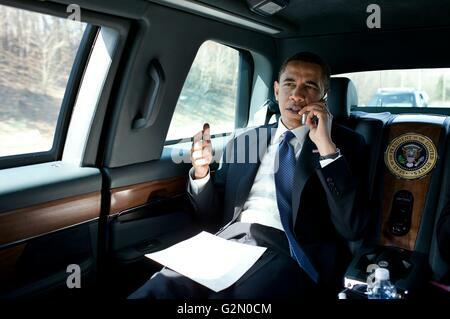 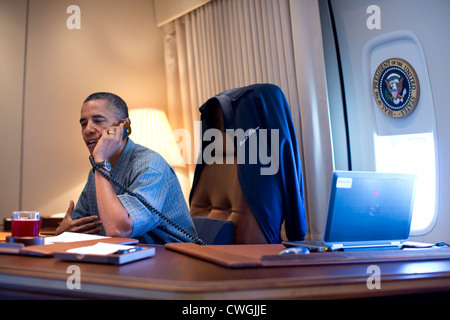 President Barack Obama talks on the phone with President-elect Vladimir Putin of Russia while aboard Air Force One en route to Richmond, Va., March 9, 2012. 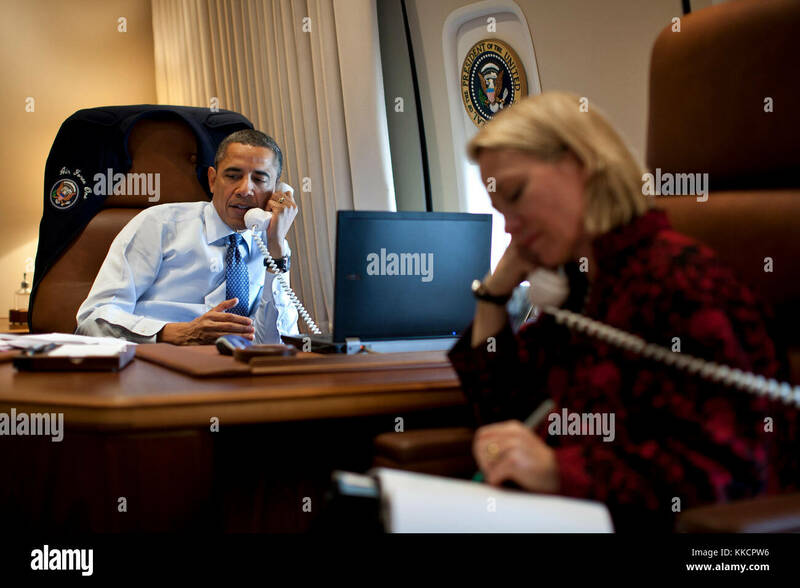 Alice Wells, Senior Director for Russian Affairs, listens in on the call. 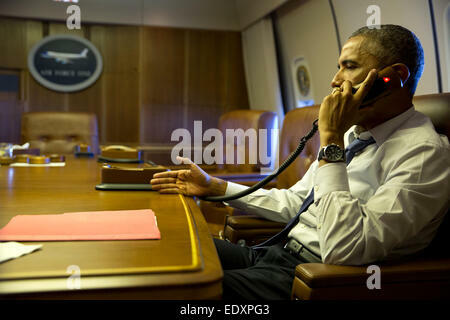 President Barack Obama talks on the phone with French President Francois Hollande from aboard Air Force One, Jan. 7, 2015. 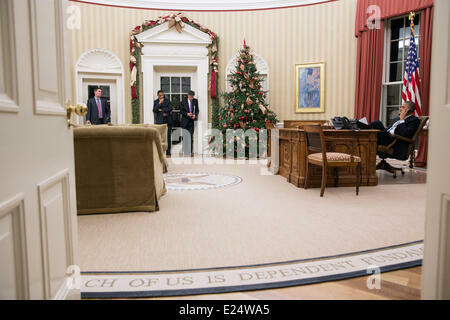 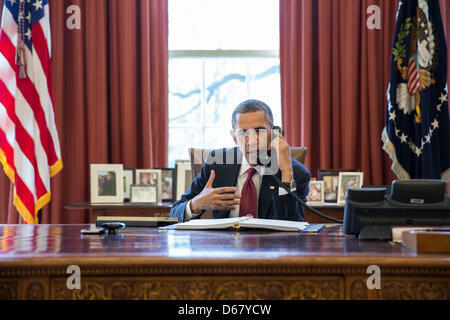 U.S. President Barack Obama talks on the phone on Thanksgiving Day at the White House Oval Office November 24, 2016 in Washington, DC. 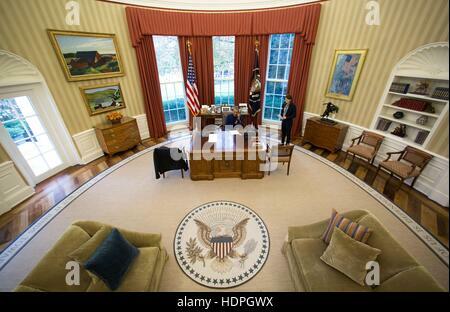 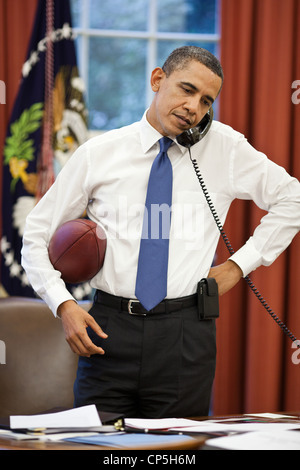 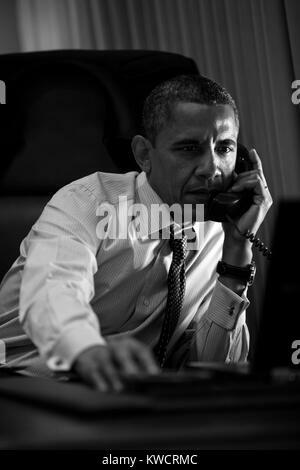 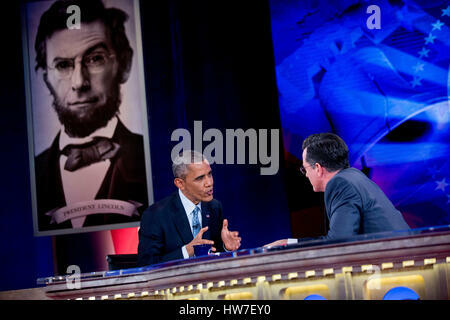 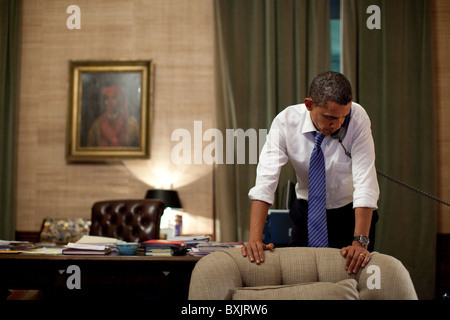 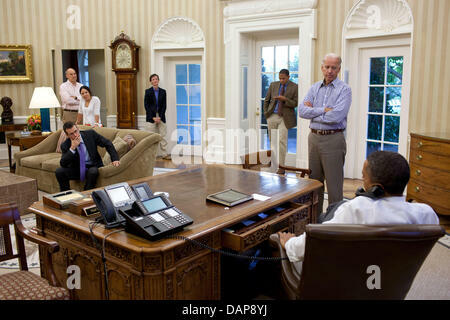 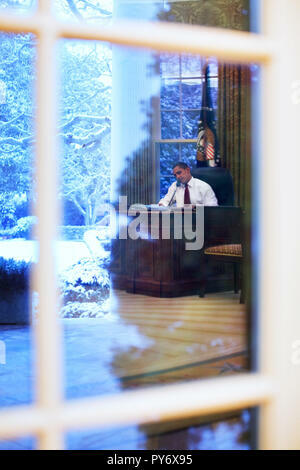 President Barack Obama talks on the phone with House Speaker John Boehner in the Oval Office, April 8, 2011.